If you suspect you have a leak in your home in the Inland Empire area, it is important that you act quickly. A leaking or burst pipe doesn’t take long to cause water damage or create a noticeable increase on your water bill. Pride Plumbing can take away the uncertainty and prevent further damage and fees with professional leak detection services. If you see any one of these signs, it’s a good idea to call in a professional plumber. 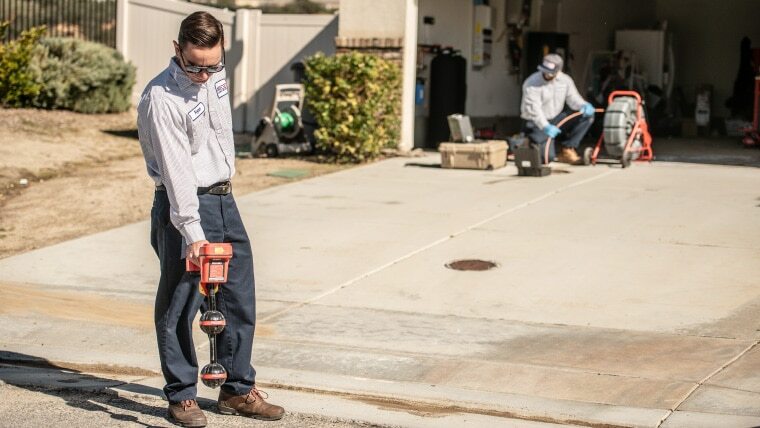 Check out our page on slab leak detection if you think your leak may be coming from underneath your home. Effects of constant temperature changes in the pipelines, especially in cold winters. Pride can provide repairs for these leaks after detection and advise you on the best prevention methods. Again, many repairs are unavoidable, but regular maintenance and good workmanship on repairs can better your situation. At Pride Plumbing, we are dedicated to top-notch customer service. Our team is caring, licensed, experienced and put your household’s needs above all else. and eliminate distress from your pipe leakwith a company that goes the extra mile.